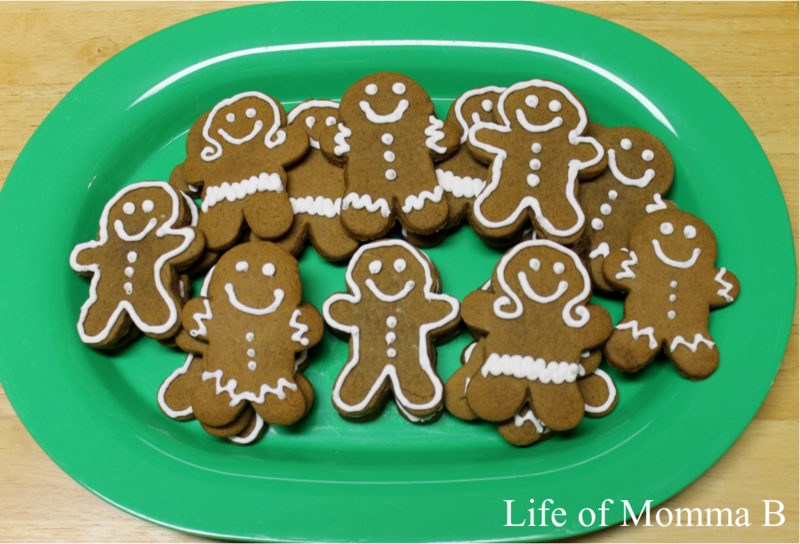 Christmas would not be complete without gingerbread men. They are the iconic Christmas cookie. Making gingerbread is a simple but time consuming process. You must make the dough and let it chill. Bake the cookies and then decorate them. In a large bowl stir together flour, baking soda, spices and salt. Using an electric mixer beat shortening for 30 seconds. Add sugar and beat till fluffy. Add egg, molasses and vinegar, beat well. Add flour mixture. Working with a small amount of dough at a time (and keeping the remaining dough chilled) roll on a floured surface to 1/8 inch thickness. Cut into desired shapes. Place on a greased cookie sheet and make at 375 for about 5 minutes. For the icing, I use Wilton’s meringue powder. As always you can print the recipe cards Gingerbread Cookies Printable Recipe Card and Royal icing printable recipe card. This entry was posted in Recipes and tagged Christmas, cookies, frosting, holiday, printable, recipe card. Bookmark the permalink.